as it fits over an ocular implant and under the eyelids. On your first visit to our office post surgery, you will meet your Ocularist for a consultation, about three weeks after you have had surgery. This is at no cost to you, and it is so that you can feel comfortable with your Ocularist, ask any questions you might have, and so that the Ocularist can check your eye socket and determine when you should come back to have your custom prosthesis made. On this visit, please feel free to ask your Ocularist any questions you have regarding your prosthesis, as well as ask our Office Manager any questions you have regarding insurance coverage. Your second visit to our office will be when we begin the process of making your prosthesis. We will start with an appointment in the morning that will last about an hour and half. During this appointment, the Ocularist will take a painless impression of your socket, to ensure a custom fit of your prosthesis. Once the impression is done, your Ocularist will then make a wax pattern from the impression to ensure a correct fit and gaze. After the fit is found, your Ocularist will begin to paint the background color of your iris. 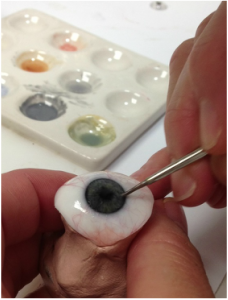 At Maloney’s, we hand-paint every iris to create a life-like quality in your prosthetic. Once the background color is painted, you are free to leave for lunch, as the prosthetic must now dry, and a mold must be made from the wax pattern in plastic. When you return in the afternoon, the Ocularist will then add the blood vessels and rest of the iris colors to your prosthesis while you sit across the table from them. 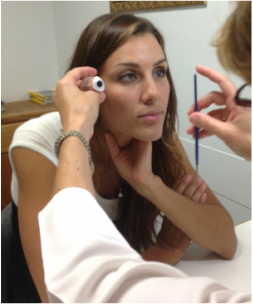 This ensures that your prosthetic eye will match your natural eye, and the prosthesis will have lifelike qualities. Once the Ocularist is finished, they will place the prosthetic in the oven to dry overnight. Your fourth visit to our office will be the next afternoon. During this appointment your Ocularist will present you with the finished prosthetic, and insert it into your socket to see if any minor adjustments need to be made. Once everything is completed, your Ocularist will show you how to insert and remove your prosthetic, as well as any cleaning tips you might need. Once everything is finished, you leave with your prosthetic. At Maloney’s we like to see you about a month after you receive your prosthetic just for a follow up to make sure everything is fitting properly. After that, we like to see you about every six months so that we may polish and clean your prosthetic, and evaluate to see when your prosthetic might need to be replaced. 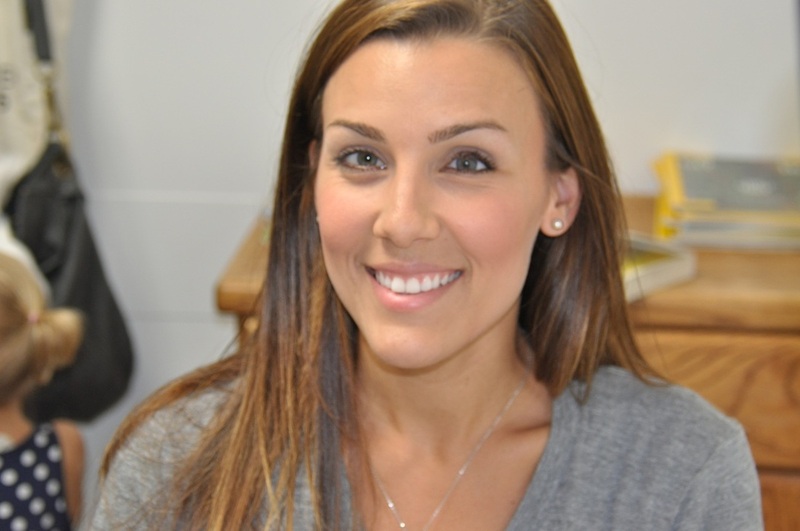 On average, you will need to get your prosthetic replaced every five years, but this varies from patient to patient.